When I told a friend on neighbouring Tenerife that I was going to spend several days on El Hierro, he rolled his eyes. What on earth, he said, would I find to do over there for that long. Hiking, that’s what. Because this verdant volcanic island is a paradise for walkers. The weather is (generally) kind, the landscape is lush and the island’s compact geography makes for short travel distances – and some very dramatic hills and cliffs. 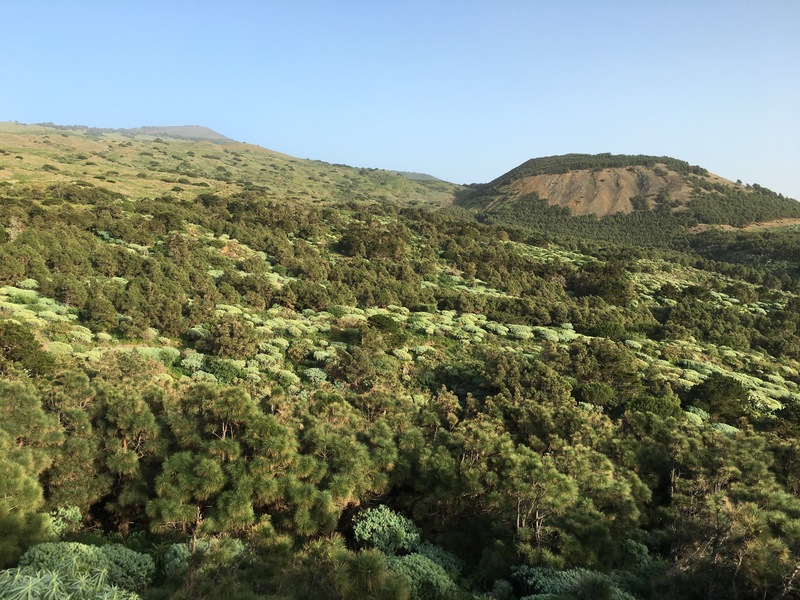 On El Hierro I hiked through wildflower meadows, across calderas and past trees bent double by the strong winds at the very edge of Europe.